Girls Wear Blue Too: Working with a 'To Do' list. Working with a 'To Do' list. I have some catching up to do, I have been indulging in the fun stuff a little too much and neglected some important stuff so today I am working from a list to try and regain some order and serenity in my surroundings. Fresh flowers are important to me as is incorporating some fun and creativity into my days. So they are added to the list, it is important to add some simple and quick tasks to build momentum and aid progress. 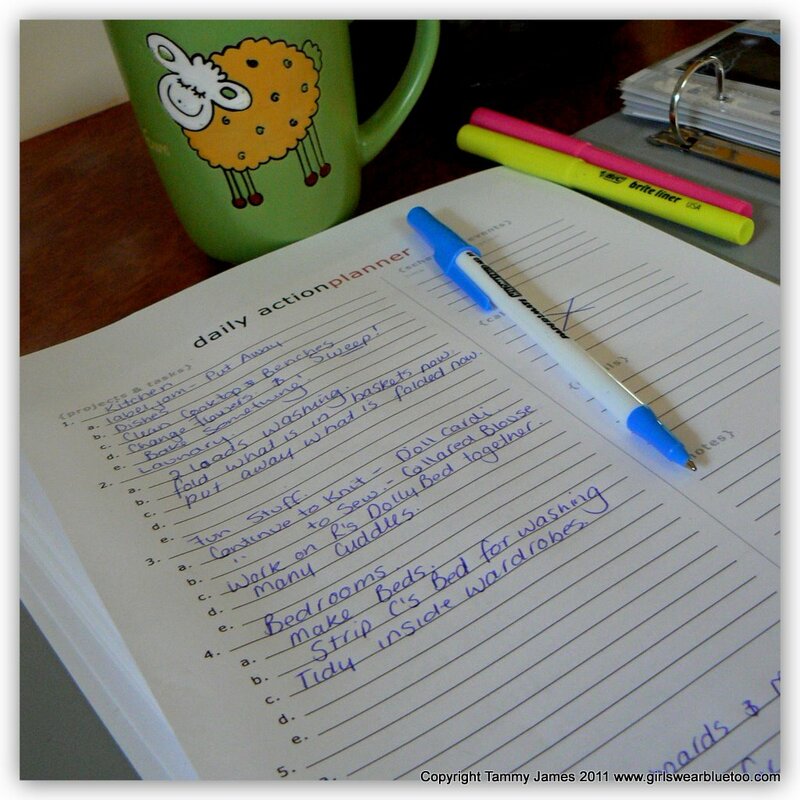 Love that action planner, do you have a link for it?